Sauces for Mussels vary greatly, one of the most common is white wine sauce infused with garlic. 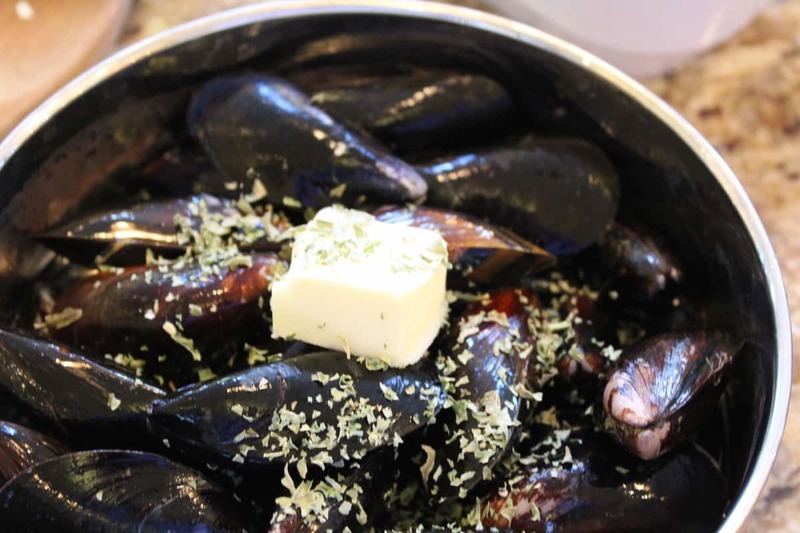 Here are some helpful suggestions, when making and purchasing mussels. Just like when you purchase live lobster, put the live mussels directly into the refrigerator until you are going to use them. Look through your mussels and get rid of any cracked or opened mussels, you do not want to cook these. If they are open, try to shut them, if you can not shut them, dispose of them. 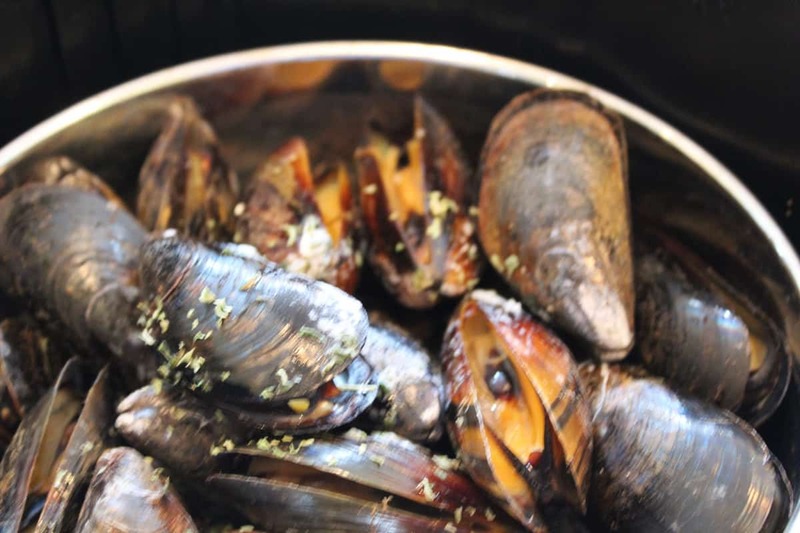 Take your mussels and place them in a bowl of fresh water, about 30 minutes before you cook them. It helps the mussels. As they are in the water, they will get some of the grit inside the shell. Scrub the mussels with a brush, before you cook them. Your final dish will come out better when you do this. 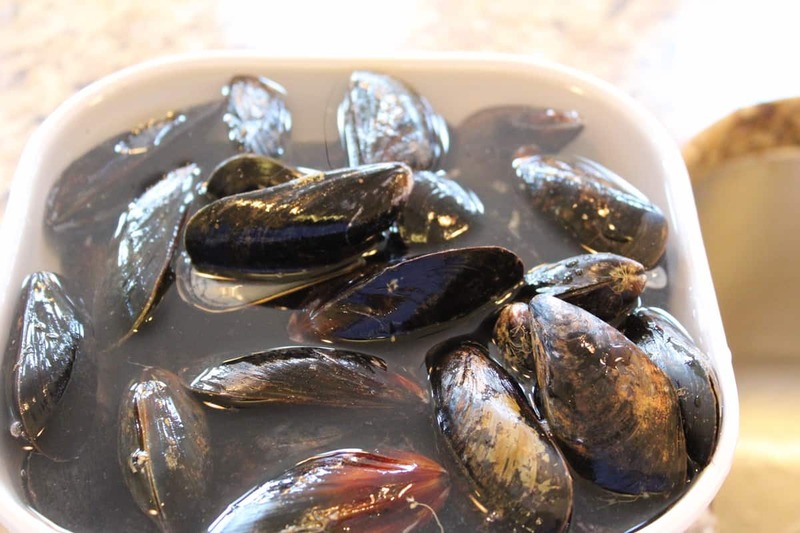 Soak the mussels in water, for about 30 minutes. This will help remove the grit. Place in an air fryer safe pan with butter, and spices. 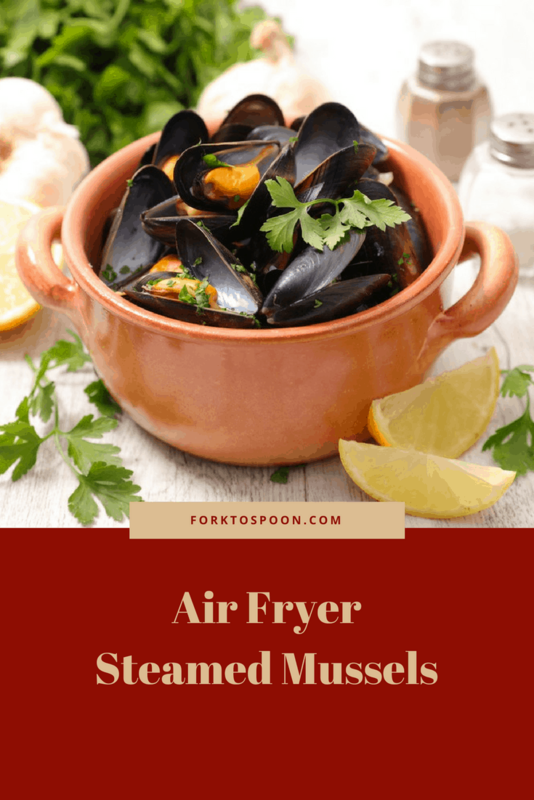 Start by preheating your air fryer to 390 degrees F.
Then clean your mussels, (soak for 30 minutes, as indicated in the instructions) and then use a brush and clean your mussels, and remove the "beard." Then in an air fryer safe pan, add the water, butter, garlic, chives, basil, parsley, and mussels. Then set the time for 3 minutes, check and see if they are opened. If they are not opened, set the time for another 2 minutes. Once, all of the mussels are opened, they are readying for eating. 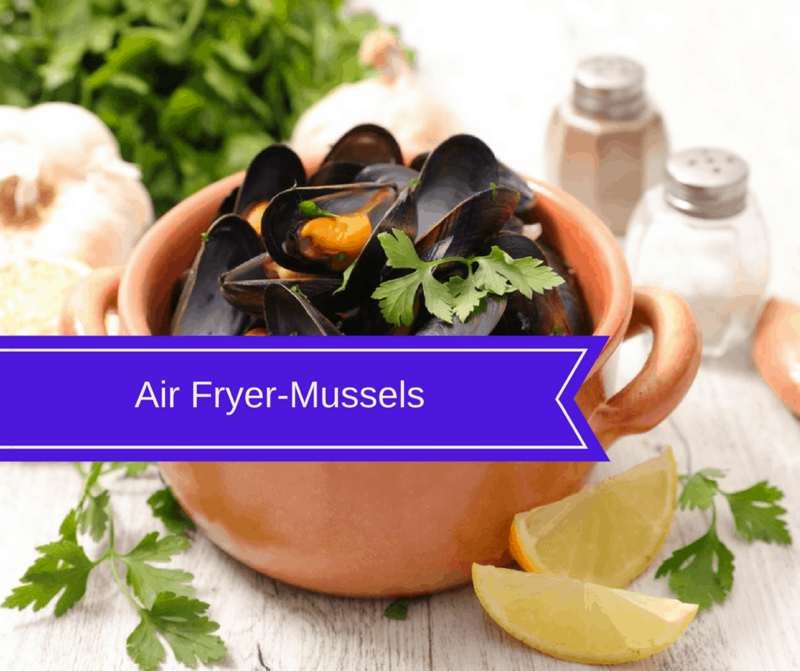 **Note: Time depends on the number of mussels, and the wattage of your air fryer. Just keep on checking, you don't want them overcooked. Once they are opened, They are cooked and ready for eating.